﻿ 2018 W&S Thanksgiving Day 10K Run & Walk Newsletter #8 - RUN that by ME - Nap often. Life is exhausting! Little kids know how to play and sing and dance and run. Children know how to fly because no one told them they couldn't. Children make your life wonderful... even if you don't get much rest! And children make the W&S Thanksgiving Day 10k fun, Fun, FUN! Christine Lindner and Amanda Bloomquist, co-owners of Inner Fire Fitness — our sponsor — know it and love it. The Inner Fire Fitness Kids Run is a quarter-mile, non-competitive loop course on Second St. for children 5 to 10 years old at 8:30 a.m. The kids start and finish at the official start and finish line of the 10k race – just like Mom and Dad. St. Ursula Academy High School students – along with proud parents – greet each child at the finish with a large customized medal. If you want to see some kind of wonderful, register your children for the Kids Run for only $10. They get a free t-shirt, a customized medal, and lots more. Oh, what FUN it is to RUN for the whole family. Register soon! What should you consider when searching for walking or running partners? "Training partners are one of the most valuable tools a runner/walker can have," said Tom Kiefhaber, M.D. from TriHealth. "They make you accountable so you're more likely to show up, and you give 100 percent during your workout because you know that someone else is counting on you." "An exclusive training partner is great until she gets injured or goes on vacation, and you're suddenly a solo act," said Kiefhaber. "Have a network of running friends." Muster up the courage to approach someone who's slightly better than you are. "Even if you don't keep up stride for stride, having someone to chase or keep in your sights can be enough to help you realize that you are better than you think," said Dr. Kiefhaber. Pace and distance aren't the only areas of compatibility. "Personality and temperament are just as important," said Kiefhaber. "If you like to train outdoors year round, but your partner bolts for the treadmill every time it drizzles, that's a problem." They don't boast, toast or celebrate. They do. Toiling away at their craft day-in and day-out. They don't announce it on Facebook or tweet about it on Twitter. Lucky people get busy working. Surround themselves with positive people who build them up not tear them down. Life is hard enough as it is without having to worry about negative people slowing you down. Lucky people have a crystal clear objective. Whatever their cause/passion or adventure, lucky people have a magnet attracting them to their goals. They know the right time will never come to them. They have to go out and make it the right time. Don't gossip or pay attention to the critics. Shrugging off a desire to gossip or respond to critics, lucky people smile and keep walking forward. Lead from the heart not the head. They feel more than they think and are driven more by emotion and passion. Thinking is important but often we let our minds direct us forward. Focus on the goal, not the plan. Plans can change. Chaos can interrupt the best laid plans. But goals don't. Happy marriage, talented kids, meaningful work and a successful career — these usually remain constant but how we get there can change over time. They take lots of action and have a bias for trying things, even if they may fail. Remain in the day to day. Letting go of the past and focusing on the present moments, lucky people direct their effort at what they can control right here and right now. They're not arrogant. They believe in this inner strength ... this resiliency of the human mind that can achieve great things. They want to understand how things work. They have a childlike wonder. They know that getting to success is never a straight line but a path full of curves and barriers, and many detours and recalibrations. Recognizing that life is a gift, lucky people act with great humility. Reduce your force and relax your grip. If your work involves a keyboard, for instance, hit the keys softly. For prolonged handwriting, use a big pen with an oversized, soft grip adapter and free-flowing ink. Gently stretch and bend hands and wrists periodically. Alternate tasks when possible. Avoid bending your wrist all the way up or down. A relaxed middle position is best. Keep your keyboard at elbow height or slightly lower. Incorrect posture rolls shoulders forward, shortening your neck and shoulder muscles and compressing nerves in your neck. This can affect your wrists, fingers and hands. Make sure that your computer mouse is comfortable and doesn't strain your wrist. You're more likely to develop hand pain and stiffness if you work in a cold, air-conditioned environment. What if someone takes credit for your work? "Often people don't mean to intentionally take credit for your work," says Alvin Roehr, CEO of The Roehr Agency. "If you confront them about it, they'll often apologize and go out-of-their-way to give you credit." Emphasize the importance of teamwork. "Regardless of an apology, stress the importance of sharing credit with the team," said John Barrett, CEO of Western & Southern. "Let them know that the best teams are collaborative and have a 'we' mentality, not an 'I' mentality." Talk to HR about it. "If the behavior continues, you might want to confidentially approach HR about it," said Roehr. "You might find out that this is a consistent behavior that needs to be addressed on a higher level." I love running and I love donuts — glazed, jelly, chocolate, crème-filled. I have never encountered a donut that I didn't like. 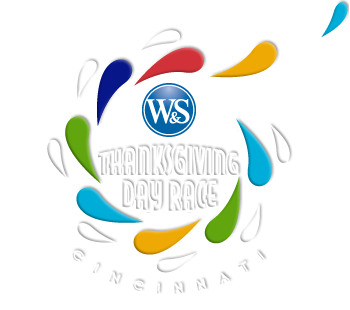 Copyright © 2018 W&S Thanksgiving Day Race. All rights reserved.